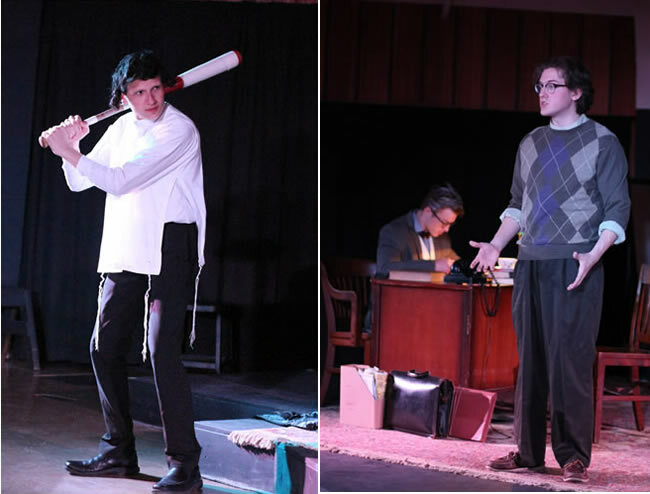 The Mount Michael Theatre program is a year-round extra-curricular program that produces two productions a year: one in the fall and one in the spring. In addition to many opportunities for on-stage roles, there are also opportunities to work behind the scenes running light and sound equipment, helping with set construction, and helping to manage the show. Rehearsals are generally held in the evenings, so as to accommodate everyone’s schedule. Recently the troupe produced an evening of three one-acts chosen by the students wherein the actors portrayed a variety of diverse roles. The performance was well received and students and audience members had a great time. It ran for three nights in the newly modified black box performance space formerly known as the “crypt”. Better acoustics and adaptable staging has made a great improvement in the versatility of the space.